When I say prayer helps, it helps. Last night, I reminded God of his promise that I would lend and not borrow. He came through with that promise today. I will continue to pray and remind him of his promises to me and my family. OK so understand these are not my words. 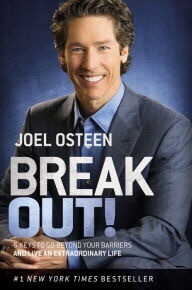 I give JOEL OLSTEEN all of his credit due. I’ve been struggling to read this book and I’ve had it for a couple of months. I’m going to create a contract with as many as God’s promises as I can stand on (scripture included) because when I go to God with my case, I will give him no room to ask me for proof. And as Jesus as my lawyer, I can’t lose. I encourage you to do the same. This entry was tagged books, christian, inspirational reads, writing-blogging. Bookmark the permalink. I need to remember this for myself! Thanks for the post!